Here is a short preface before i start diving into tithing statistics. God said in Leviticus 27:30 – “the seed of the land and the fruit of the tree is holy to the Lord”. The significance of this passage is that carpenters, lawyers, bankers, blacksmiths, etc. did not tithe on their occupational income. If they grew personal crops, or raised 10 or more animals then, yes, they had to tithe on their agrarian increase. Other than that, they didn’t tithe. 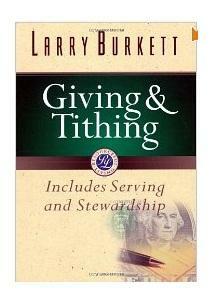 According to tithing statistics from the Barna Research Group, an average of 5% of Christians tithe today (1). Before you draw any conclusions – according to the U.S. Department of Agriculture, in 2000 only 1.9% of the employed labor force worked in agriculture anyway (2). This means if we were Israel in Leviticus 27, only 1.9% of our employed population would be required to tithe. Considering today that 5% of the American work force actually tithe but less than 2% are employed in the agrarian labor force, i’d say we’re tithing about 3% more than we’re suppose to. I understand that Israel was an agrarian society back then, but the amount of food grown per person has not decreased. If anything, i would imagine we consume and grow more food than any culture has in history. I know that the amount farmers have decreased today, but this shouldn’t matter because the overall production (food needed per person) hasn’t decreased. Although it shouldn’t matter that the number of farmers have decreased, let’s follow this to the full conclusion for hoots and giggles. The US Department of Agriculture states that the agricultural GDP (Gross Domestic Product) accounts for only 0.7% of the total GDP (3). This means that US citizens are producing 99% of their wealth through other occupations as carpenters, bankers, lawyers, etc. If we base our tithe on the amount of overall increase of food, then our tithing average should be less than 1%! If we were trying to mimic Israel’s tithe in the bible, we would be tithing 4% more from our GDP income than we should be. 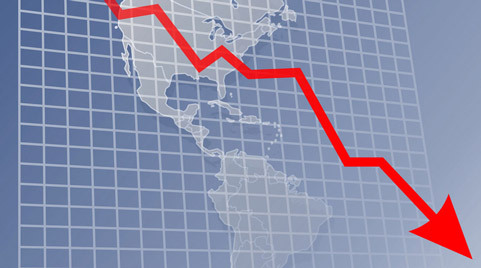 According to the CIA world fact book we output $171,075,000,000 in agricultural goods in 2009 (4). If my math serves me correctly, 10% of that is 17 billion dollars. What I’m trying to say with these tithing statistics is that the Church today is actually receiving a higher percentage to operate God’s ministry than Israel had been. Put simply, Israel’s ministry operated on 10% of their agricultural increase, but we operate on four times that amount! Giving statistics state In 2008, over 100 billion went towards houses of worship (5). We need to start asking ourselves why the Church leaders cry out for more tithing from the pulpit when it seems that we should be capable of operating on 17 billion instead of over 100 billion. I would reason that Israel’s agricultural output was a higher percentage of their GDP. Leviticus also seems to be a popular one to quote, but when we see other examples of giving in the Bible, I find I must consider those actions and decide how I would respond. These two are before the Levicital laws were given but show a precedent of self-sacrifice and giving — something that made the givers less selfish and accomplished things for God on the earth. 2 Chronicles 31:5-6 talks about a tithe of herds and flocks, and a tithe of “holy things” — what are these non-agricultural “holy things” that were given and “piled in heaps”? If the word “tithe” has become taboo, let’s change the discussion to maybe focus on how someone should give of their property and talents, and how those people should give those (willingly, cheerfully, in abundence) in light of the fact that God has given us Jesus Christ (Who gave it all)? How do we respond to that in our giving? Maybe mixing words about technical definitions of tithes is not wise. Maybe we should look to include offerings as well and ask ourselves, “In light of what God has done for me, what is the proper response to give something back to Him?” I am not sure I can answer that with a small amount, as He did not come forth with only a small amount either. Abraham gave a tithe off the spoils of war and not from his own wealth(see Hebrews 7:4). Thanks for the additional info — and yes, I’d agree — Abraham gave a tenth off spoils of war, and it was not just an agriculture product. He saw that he had received something and therefore sought to bless back others by giving. The word “tithe” is not used in either the Genesis or Hebrews scripture. It just demonstrates a spirit of giving in the heart of Abram that I hope is not discouraged. Can you provide any links or known comments/ideas on giving in general? I don’t want to mix words by describing something as a “tithe”, “offering”, “gift” or whatever word we want to use — but I’m more interested to see what you think is the method or reasonable justification for someone to give (money, time, talents, etc) to the Great Commission efforts that God has called us to. 2 Chronicles 31 remains “cloudy” staying it’s only agricultural product… maybe it could be. But also that 2 Chronicles 31:7 suggests the heaps (of this tithe) were begun in the third month and finished in the seventh month and these heaps were viewed by the King (2 Chronicles 31:8). I guess they could have made heaps of agricultural products and then looked at them, I’m not too familiar with how well things would store for the several months of time they describe. I would imagine grains would. I would imagine livestock would walk away. I know that any other tangible, hard, non-edible gift of wealth would have the ability to remain and not rot, decay or walk away. Malachi 3:10 – Bring all the tithes into the storehouse, That there may be FOOD in My house. The word storehouse is never mentioned in the new testament. If you think tithing was only limited to agriculture, then you are simply mis-interpreting the scripture so that you don’t have to tithe yourself. After reading some of your other posts, I think you should try to determine what your motivation is for doing that. I am in total agreement with you that the church wastes so much money, but that doesn’t give the people in the pews an excuse not to give the money they are clearly taught to give. Sin from one man or entity doesn’t entitle others to sin. Examine your motives and then study the tithing scriptures without the bias. I think you will find a different answer. I provide a plethora of scriptural support on my website for my view, so i don’t think examining my motives is what you should be worried about. Read these posts to understand my motives, and see why i do not believe in tithing. Your statistics would mean more if they were put into some kind of context. It seems to me that you have very limited knowledge about local church life. Many of those so-called “administration” dollars are used to facilitate the ministries of ten’s of thousands of church volunteers who faithfully serve their community, neighboring communities and their world. What does it cost to mobilize thousands of volunteers to New Orleans, or Haiti, or numberless other crisis situations around the country or the world? Sometimes we send money directly. At other times it is used to send passionate, hard-working and skillful people to serve others in the love and grace of Jesus. Are there abuses? Perhaps. But, more often blessing is flowing into a community through the combined efforts, prayers and sacrificial giving of God’s people. I published the blog article but I’m not an expert on this subject. I just try putting 2 and 2 together. I am not the one who developed the statistics. If you want more statistics and a quote from another professional, then read this below. As i said, i’m not the expert. I’m just quoting the experts and analyzing it. Sorry to disappoint you man but this blog is dedicated to inspire sacrificial, spirit-led giving as well as exposing the truth that the minimum tithing requirement is unbiblical. As a long-time pastor and adjunct professor of Bible and Theology at a Bible college, it is accurate to say that the Christian Bible (the New Testament) does not teach tithing for Christians today. Any discussion of a tithe for Christians is moot. Again, we are not instructed to tithe. Instead we are instructed to give abundantly with the understanding that all that we have is a gift from the Lord and we should desire to return as much as we are able to fund the ministry of the gospel. Our money is not our money, but it is the Lord’s money. All of it. Each penny spent is an act of worship. Whether spent on necessities or given to the church. The tone of any website on “giving” (rather than tithing) should be on how much we can give rather than on how little we can give. The Christian Bible essentially teaches three principles of giving: give voluntarily, sacrificially and joyfully. See 2 Corinthians 8-9.